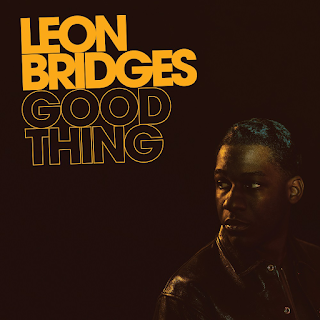 After 2015's phenomenally good, but blatantly sixties soul revivalist debut album, "Coming Home", Leon Bridges had a bit of a problem. As good as that album obviously was, should he keep chanelling his inner Sam Cooke/mid sixties Marvin Gaye or should he break out a bit and try and reach a wider audience, while still recording material in the basic style he loved? It would seem that on this album he decided on a bit of a compromise. Yes, he has broadened things out a bit, still nostalgic in is soulfulness, but it also bears influences from seventies artists such as Al Green and Prince in his late eighties/early nineties period. There are even some contemporary vibes in there too. Overall, though, I can't help but feel that this is Bridges' seventies/eighties/nineties/00s album, while "Coming Home" was his sixties one. 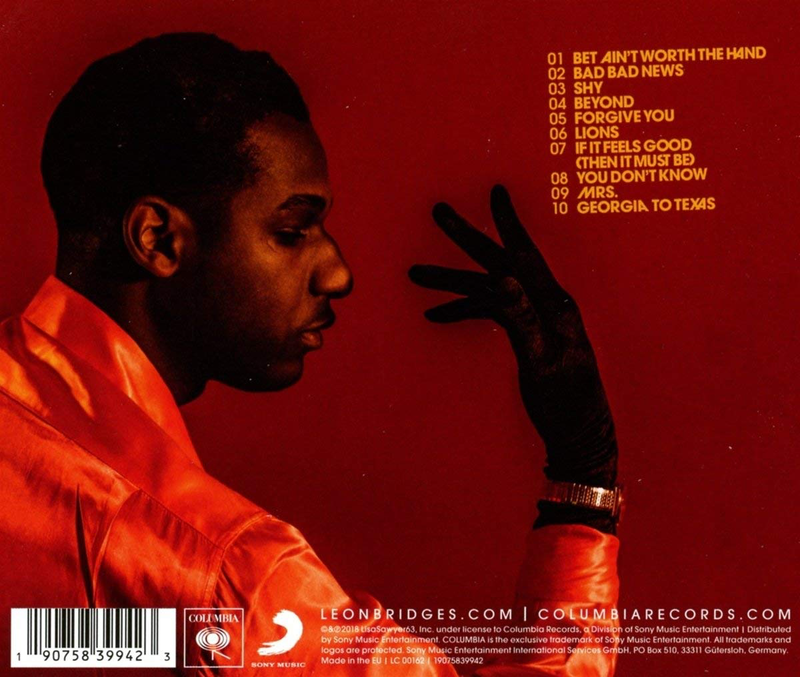 The album starts, unusually, with the slow, laid-back orchestrated, contemporary-sounding soul of "Bet Ain't With The Hand". "Bad Bad News" is a bassy, jazzy grinder with a lot of seventies-style funky soul. This is far more of a seventies groove than the sixties material of the debut. It has some sublime jazz guitar on it too. "Shy" goes more down the current road with some of that "r 'n' b" thumping bass and drum backing. Personally, I preferred the authentic sounding "proper" drums of the previous outing. This sounds too much like many other current recordings for my liking. "Beyond" is a nice soulful song, but it also a little blighted by that huge deep drum sound. "Forgive You" is a bassy, shuffling number but somewhat unremarkable. It sounds very much like typical 2018 r 'n' b chart material. "Lions" is another hampered by its backing. You can see that Bridges is trying to appeal to a modern audience here and the same applies to "If It Feels Good (Then It Must Be)", with its echoes of Prince in places. "You Don't Know" is also very Prince-esque, even more so, in fact. Like something from the late eighties. Nice guitar break on it though. "Mrs" continues the sexed-up Prince vibe in a sensuous, laid-back groove. "Georgia To Texas" ends the album with another tribute from Bridges to his Mother ("Lisa Sawyer" on the first album was the first). It is the finest piece of genuine soul on the album and the only one that really brings to mind the previous album. It features some seductive saxophone as well and some great jazzy drumming. In summary, however, I have to say I much prefer "Coming Home" and feel that this album has lost its soul to contemporary pressure somewhat. I know why Bridges has gone down that route, in a way he had to. Thankfully, the first album will always be around to listen to.